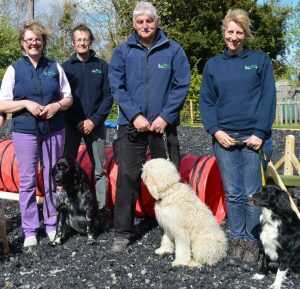 Welcome to Mannerly Mutts for Dog Training, Dog Behaviour, Dog Agility, Dog Home Boarding and Dog Walking. We are based on the Shropshire, Worcestershire, Herefordshire boarder. Please explore our website to find out more or do please contact us. For further details of Mannerly Mutts services click on images below. A well trained and mannered dog is a joy to own and is the comer stone to your long term relationship with your dog. 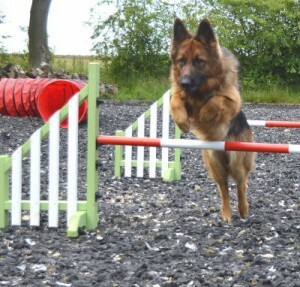 Dog agility is a fantastic way to stimulate and exercise our pets, whatever shape and size. No previous experience necessary or any particular level of fitness for the handler! 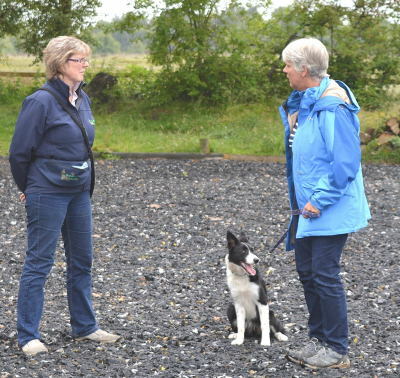 One to One behavioural sessions are tailored to solve individual dog and handler issues. 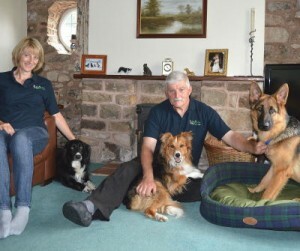 Our Home Boarding and Dog Walking services are provided by Steve and Pip Tolley. We can exercise your dog during the day, provide a boarding service on our own small holding giving home comforts your dog normally receives. New classes starting throughout the year. All classes are very popular and need to be booked in advance. Thank you and look forward to meeting you and your dog. All classes are very popular and need to be booked in advance. One to One sessions are much more tailored to the individual dog and handler. They allow me to adopt a learning style suitable to the client and their dogs specific issues. 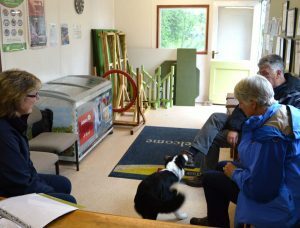 Behavioural consultations can take place at either your own home or at our purpose build and dog secure training centre. Whatever your problem I can work to help you improve or resolve the behaviour in question. I have developed my knowledge through observational work with my own dogs, teaching 6 classes a week and my study with the Cambridge Institute. I consider myself responsible to help the journey our dogs have made from the wild into the modern home. This journey can cause conflict when we do not understand our dogs basic needs and breed traits. I try to understand the many corresponding relationships between people and their pets and work to help the owners train or rehabilitate their dog. The advise I offer is flexible and practical and help is given to ensure the advise is understood. The consultations may take place either at the owners home or mine . There are a few important advantages of One to One sessions over classes. More time is available to discuss the care and management of the dog. They take the form of the initial information gathering ,to extract the information that is pertinent to the problem. Behavioural problems in dogs vary immensely. Problems most commonly presented are often the dog behaving in a normal way, a way that the dog reacts in a given situation. Of course this does not make the behaviour acceptable. A good example of this is when a dog destroys furniture and howls and barks when alone. The dog is trying to cope with his boredom and anxiety at being isolated . This is not acceptable, not fair on the dog or the neighbours. The cause of a problem is always useful to establish so an understanding of how and why the problem came about.This cause must be dealt with so that by default the symptom disappears .Some of these problems may simply be that the puppy has matured without the correct training and management. I find that people have different views of what is a behavioural problem. Many owners accept a dog jumping up on people climbing on furniture or occasional chewing of household items .It really is a case of how much the behaviour affects the owners lifestyle. Even dogs which are dog aggressive may not be a problem if they seldom meet another dog. 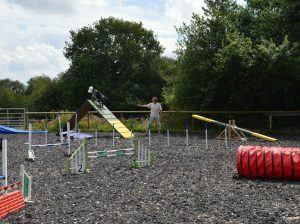 Pet agility classes are run at our purpose built agility centre at our home. 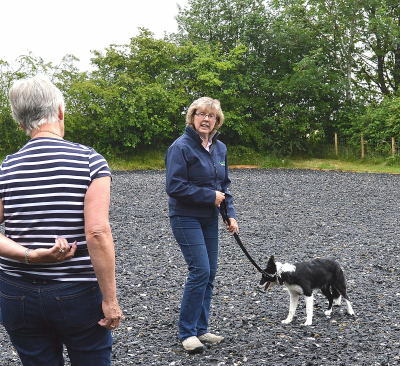 Lessons are run by Jo and take place on our secure, all weather surface using a full range of Kennel Club Standard agility equipment. 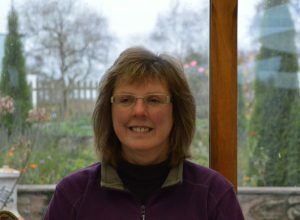 Jo is a trained dog agility instructor. Most breeds of dog are capable of some level of agility and would benefit from the exercise, mental stimulation, control and improved partnership with their owners. 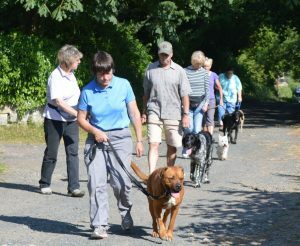 We at Mannerly Mutts welcome handlers of all ages and fitness levels. 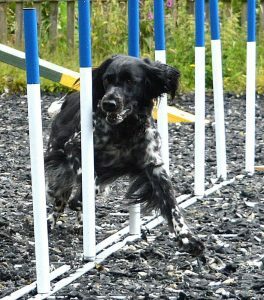 Our aim is to provide family pet agility which can also provide a sound foundation for anyone wishing to pursue agility competition. All training is done in small groups. Basic dog control and obedience is a minimum requirement for all Agility. 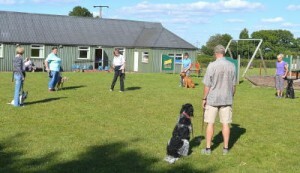 Mannerly Mutts offer beginner courses of obedience training. Simple control exercises “sit”,”down”,”stay” and “come” are fundamental. Initial training is on lead but this will soon be dispensed with. Young dogs can start puppy agility training at 9 months with exercises designed to prepare them for proper agility at 12 months. This is dependant on the breed of dog. Large breeds take longer to mature. Certain aspects of agility can cause damage to immature bones and joints. Beginners courses will start at regular intervals throughout the year. Prices for a 6 week course are £45. Private one-to-one lessons are also available at £30/hr. Vouchers are available for gifts. Private agility lessons are suited to dogs with behavioural issues such as dog aggression, and dogs with weight issues as part of an exercise regime. At Mannerly Mutts we strive to offer your dogs an environment which is much more like his or her home. Their stay will be tailor-made to replicate their normal routine. So many of us worry about leaving our dogs in boarding kennels, they may be safe but these facilities often lack the opportunity to provide home comforts and the mental and physical stimulation your dog normally receives . We also worry about leaving our dogs in a sterile kennel environment. You can rest assured that with us your dog will be having as good a time as you. Our Dog Walking and Home Boarding services are provided by Steve and Pip Tolley. Steve is a retired police officer who lives on a small holding near Cleobury Mortimer with his wife, Philippa, horse, 2 dogs and 2 cats. 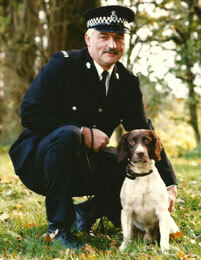 While with the police Steve spent 4 years working as a Mounted Police Officer and 5 years as a Dog Handler. Steve is one of those special ex police officers that really does empathise with all animals and has a natural insight into the way they think. 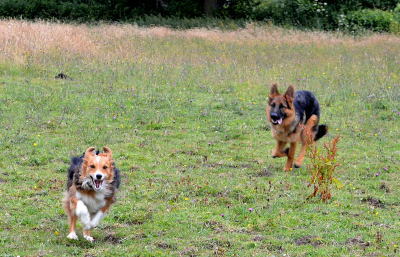 Steve and Pip’s own dogs are Brian who is a rescue dog from the Dogs Trust and Rio a German Shepherd. We also provide “Doggy Daycare”, useful for those occasional days when you cannot be home.